Mike Quinn is an entomologist with an interest in beetles and great knowledge of systematics. When Bas Relief found him, he worked for Texas Parks & Wildlife's Nongame and Rare Species Division focusing on outreach and conservation. 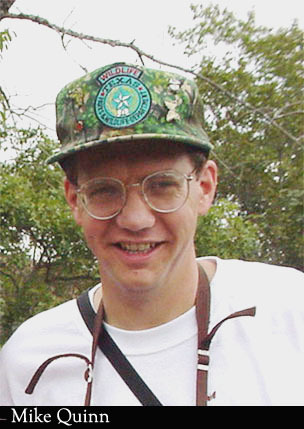 His outreach activities dealt heavily with monarchs and the tremendous butterfly diversity of south most Texas. His knowledge and ability to track down information and experts on a wide range of insects was a tremendous asset and transformed Milkweed, Monarchs and More. Mike and his wife Gloria live in Austin, where he maintains a website, Texas Entomology, dedicated to a wide range of Texas-centric entomological topics.